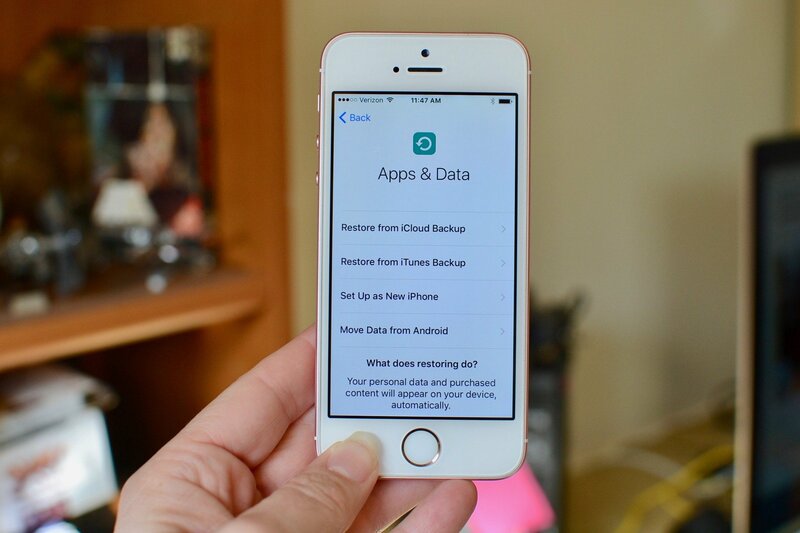 If you have iOS backups taking space on your internal drive, you can relocate them to an external hard drive to clear out some space. If you do now or have ever synced your iPhone, iPad, or other iOS devices to iTunes by connecting it to your Mac, you have backup folders stored on your internal drive. It's just the way life is. Maybe you only have a few files from a couple of iTunes backups and they don't take up much space. Maybe you've been backing up your iPhone via iTunes for years and have a space hog on your hands. If you back up your iPhone or iPad via iTunes and feel the need to get these iOS backups off of your Mac and onto an external hard drive, it is possible to do, but beware, Apple really doesn't recommend it. Note: This guide is for people that back up their iPhone or iPad using iTunes. If you use iCloud to back up your device, you can simply delete any old iTunes backups on your Mac. Just make sure you really are backing up to iCloud before you delete anything. What are these backup files and why are they taking up so much space? When you back up your iOS device via iTunes, the backup is stored on your Mac. The location of the backup folder is in a folder called MobileSync, and sometimes it gets pretty big. Especially if you are syncing multiple 128+ GB devices that are full of stuff. Old backups are replaced with new ones, but families that have multiple devices backed up to one computer are going to take up a lot of storage space. I highly recommend switching over to syncing in iCloud, and then deleting the backups on your Mac, over relocating them. But, if you're still hell-bent on moving them to an external hard drive, I'm here to help. This part is easy. Your iOS backups are stored in a MobileSync folder. You can find them by typing ~/Library/Application Support/MobileSync/Backup into Spotlight. You can also find the backups for specific iOS devices from iTunes. Click on iTunes in the upper left corner of your Mac. Click on Preferences from the drop-down menu. Hold down the Control key and click on the device. Select Show in Finder from the list of available options. This part is easy, too. But, you really have to pay close attention to the name of your hard drive and the new folder names you create, including punctuation and spacing. This information will be used when creating a Terminal pathway. If you use different names then the ones I suggest, be sure to replace it with the exact name you have in the Terminal command in Step 3. Connect your external hard drive to your Mac if it isn't already connected. Open the external hard drive. Go back to the Finder window with your iOS backups in it and select the device backup folder (It will either be called "Backup" or have a bunch of numbers and letters). Drag it to your external hard drive. Enter your administrator password to authenticate your action. Rename the iOS backup folder that is now on your external hard drive to ios_backup. You may have to enter your administrator password once again to make this change. Rename the old backup folder in Finder to old_backup. Do not delete the old_backup folder yet. This is the more difficult and most important step to moving your iOS backups to an external hard drive. If you don't perform this step, iTunes won't be able to back up your iPhone or iPad anymore. You'll have to manually move the folders back to your Mac instead. In this step, you'll create a symlink — or symbolic link. When you create a symlink, you are creating a new path for iTunes to take to get to the backups folder. It is sort of like creating an alias in Finder, but it works more reliably with iTunes. Former iMore writer and Mac genius (seriously, he's a genius with a Mac) Peter Cohen explains symlinks perfectly. Some applications don't follow aliases properly. An older way of creating those sorts of connections is more reliable for actions like what we want iTunes to do: Symbolic links, or symlinks. They work at a low enough level that applications and operating system functions don't have as hard a time with them as they do aliases. We're going to use the Mac's Terminal app to create a symbolic link to trick iTunes into backing up onto your external drive rather than the boot drive. If this screen is locked, select Click the lock to make changes at the bottom left of the screen. Otherwise, skip to Step 7. Enter your system password and click Unlock on the popup screen. Click Full Disk Access on the left-hand side of the screen. Choose + to add Terminal to the list of apps with full control on your computer. In the Finder screen that's displayed, type Terminal in the search box. In the search results, highlight Terminal. ln -s: The command that tells the operating system to go to the new location. External: The name of a hard drive. Yours will likely be named something else. In the Terminal command, you must change "External" to whatever your external hard drive is named. ios_backup: The renamed backup folder you dragged into your external hard drive. This is the new place that your iOS backups will be stored. ~/Library/Application\ Support/MobileSync/Backup: The command that tells the operating system where the backup is. 4f1234a05e6e7ccbaddfd12345678f1234b123f: The name of the device backup folder. If you are transferring all of your backups, this will just be named "Backup." If you are transferring one device, use the name of the backup folder for your device. The one above isn't even a real file name. You must change the above backup folder name to whatever is the name of the folder you are transferring. If your external hard drive's name has a space, be sure to use the proper coding. For example, if your hard drive is named "My Passport" be sure to use a backslash after My, then the space, then Passport. Like this: My\ Passport. Don't forget to capitalize when necessary. Type the following code. Don't forget to change the hard drive name and the backup folder name to reflect the name of your hard drive and backup folder. You will see a new folder in your MobileSync folder that is either called "Backup" or the series of numbers and letters that represent your device. You can tell this is a symlink because it will have an arrow in the bottom left corner. Next, you'll need to confirm that it worked before deleting your old_backup file on your Mac. Connect your iPhone and back it up. Open the ios_backup folder on your external hard drive. Check to see that the date and time on the latest backup is for the one you just completed. If the pathway relocation worked, and you can confirm that backups are now happening on your external hard drive, you can delete the old_backup folder on your Mac. Note: If you go back to the MobileSync folder and open the symlink folder, you will see the names of the files that relate to your backup. These are aliases. Not actual files. It's like a thumbnail of a picture. If you don't always have an external hard drive connected to your Mac, you're going to need to disable automatic backups of your iPhone or iPad. Otherwise, whenever you connect your iOS device to your Mac, you'll get an error message. Tick the box at the bottom next to Prevent iPods, iPhones, and iPads from syncing automatically. Don't forget to manually back up your iPhone whenever you connect it to iTunes and have your external hard drive plugged in. If you made a mistake and the symlink didn't work, or you simply just want to go back to storing your backups on your Mac, all you have to do is delete the symlink folder you created. No need to enter any kind of "rm" or "unlink" command in Terminal. Type ~/Library/Application Support/MobileSync/Backup into Spotlight. Select the symlink folder. Remember, it's the one with an arrow in the bottom left. It will either be called "Backup" or have a series of numbers and letters representing your device. Back up your device via iTunes. Delete the ios_backup folder on your external hard drive (optional). Do you have any questions about moving your iOS backups to an external hard drive? Put them in the comments and I'll help you out. January 2019: Updated to reflect increased security in macOS Mojave.